The second pillowcover will be about spirals, i think. I'd like to try to make all kinds of spirals, connected to eachother. 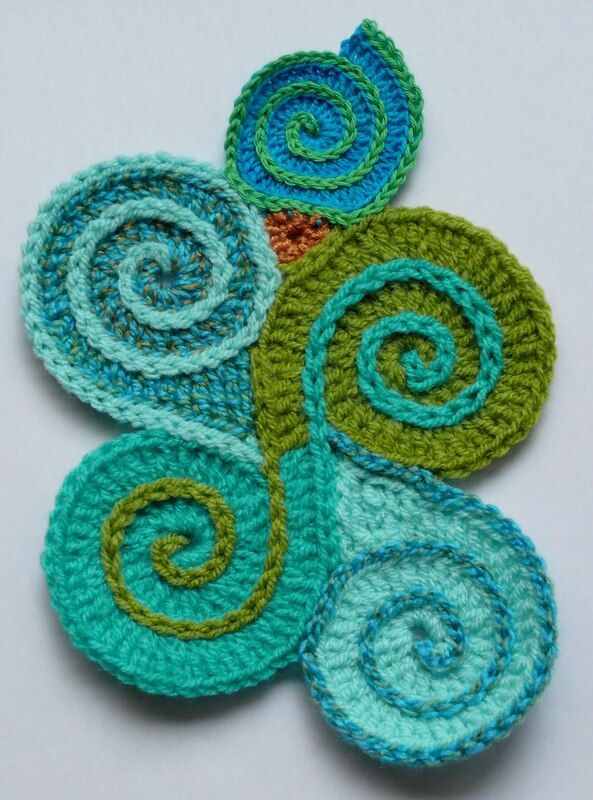 How i'm going to manage spirals with other stitches than dc, haven't got a clue yet, but it's worth a try. Here's the beginning. I love this one! Can you try making a spiral with bullion stitch? Hi Anna:) I won't be using the bullion in this pillowcover, but in mu freeform cardigan i have made several bullion spirals. Hola, podrias compartir la forma de hacer ese detalle tan bonito? Gracias. Hello aida, i am sorry but i don't speak spanish, but i understand you want to know how i made this. I didn't make a pattern,so unfortunately i can't share the way i made it. So there a pattern to this?